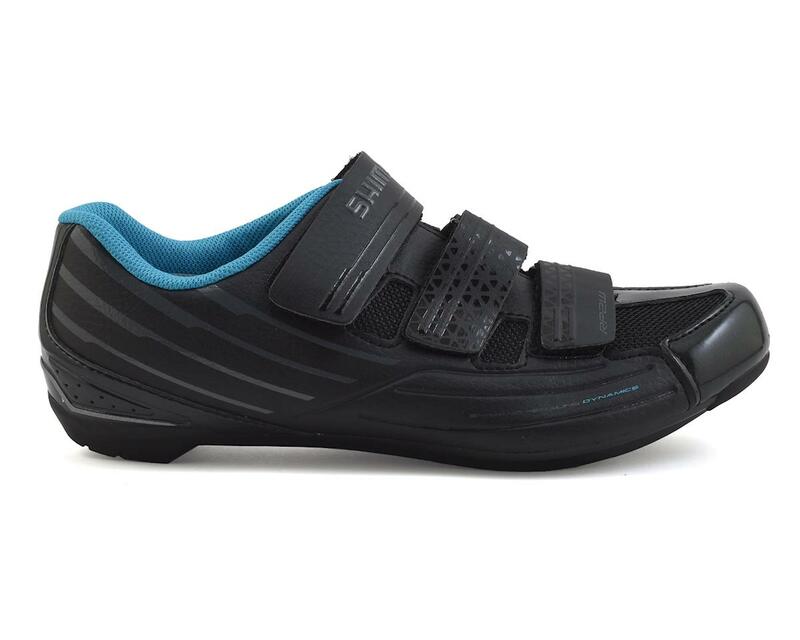 The Shimano RP2 women's road cycling shoe was designed with women's specific fit for better comfort. 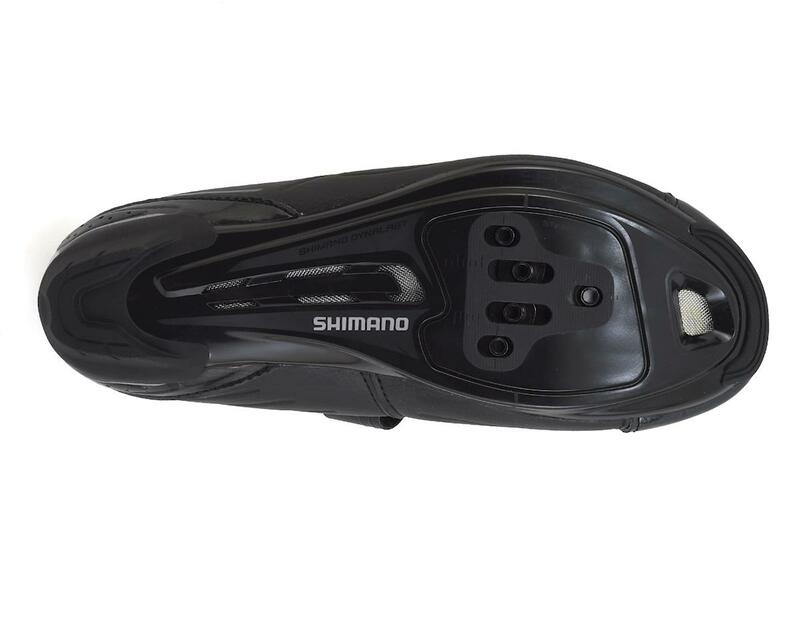 With the RP2's 2-bolt and 3-bolt cleat mounts the shoe works just as well for indoor cycling as it does for outdoor riding. 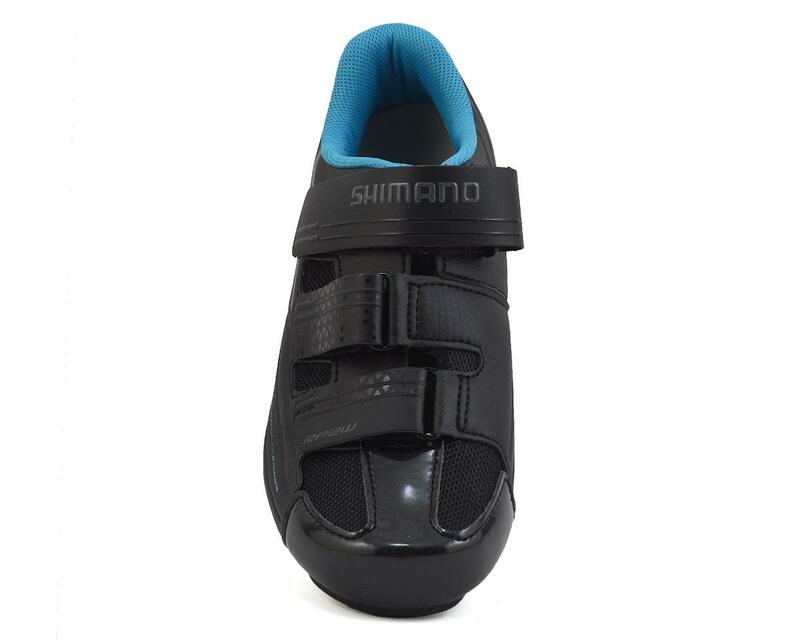 The 3 hook and loop straps keep your foot secure wherever you may ride. Extra cushioning in the tongue combined with the off-set strap creates a comfortable fit that will help you pedal as long as you need to.